Stays in place - weighs over 3lbs per sq. ft. 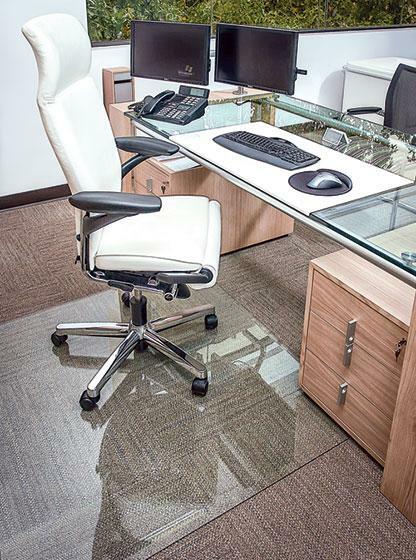 If you are tired of struggling to reposition your chair as you move around your workspace, now is the time to try an innovative glass chair mat at your desk. These mats are designed to look great and add functional ergonomics to any work area. We used tempered glass to provide an ageless surface. I would like to receive pricing for the following item: Office Source Glass Chairmats.